We would like to offer our services! We sell all parts for Earth moving equipment, construction machines, exploration, mining, transportation, diesel and gas engines. Think of us on your next order or quotation. We will respond promptly! Tunnel boring equipment, aerial lifts,excavators, air compressors,light towers,compaction equipment, generators, concrete equipment, pressure diggers, cable handling equip..
Truck cranes, tower cranes, dragline, derrick cranes,traffic control equip. 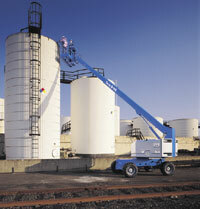 ; material handling equip. ; conveyors, mixers, recycling equip. ; rock mining, remote control systems, concrete paving machines. Also, Backholes, pavers, articulated trucks, Forestry equipment,scrapers, loaders, forklifts, Survey Equipment and Rock Drills.